Today, conversation between brand and consumers is a valuable way for those that love them to get to know their favorites better and make some new favorites. For luxury brands, especially since the definition of luxury has changed, paving the way for more accessible luxury that feeds the need of the quality-seeking masses. In this increasingly digital world, reaching out to consumers and sharing the stories of your brand is the new way. Ever wonder if your favorite luxury brand is on Twitter? EAT LOVE SAVOR did too. We compiled an extensive list of luxury brands from around the world that have accounts. 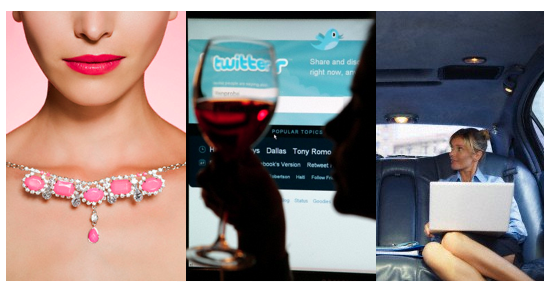 Here’s our list of Luxury Tweeters; those brands you know or may not know yet! More to come. Something to Add?